Today I am sharing my conversation with my dear friend, Shirley. Shirley just celebrated her 92nd birthday. She was convinced that she didn’t have anything special to share with us-if she only knew how much love and wisdom there is in her story. You may want to grab a box of Kleenex for this one. Q: Thank you so much for talking to me about your experience as a mother. A: Well, you’re welcome dear, but I don’t know how helpful I will be. I don’t know how much I will remember. Q; Well, can you start out by telling me in what years you raised your children? A: My oldest son, Harry, was born in 1945 while my husband was in the Navy during the Second World War. I had three children-Harry, Bob, and my daughter Susan. Q: What was it like to be a mother in the 1940s? A: Well it was different from the time the baby was born I suppose. Back then when you had a baby they kept you in the hospital for 10 days. Maybe that was a bit too long but it’s not like today where they send you home the next day! And this is just my opinion but our children got a better education back before computers and calculators. If they wanted to know something, they had to look it up in a book. I just think that that was good for them. Also kids had more spontaneous fun. They were outside rounding up their friends to play kick the can, they made their own fun. It was not structured the way it is now. A: No. 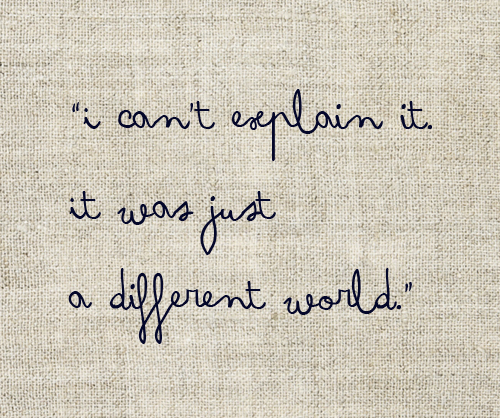 I can’t explain it, but it was just a different world. A (con’t): Neighbors are not close now in the way they were when my kids were growing up. We had a sense of companionship and community. Now everyone is too busy. You might wave to a neighbor as they are coming or going, but back then we knew our neighbors and their children and we looked out for one another. We talked over the fence, you know? Q: It’s sad that we don’t have that anymore. A: It is sad. But everyone is too busy I guess. Families stayed close together back then as well. You might have moved across town but you were still close to parents and grandparents, aunts and uncles. Now it is nothing to move across the country and be spread out. Q: I agree with you. 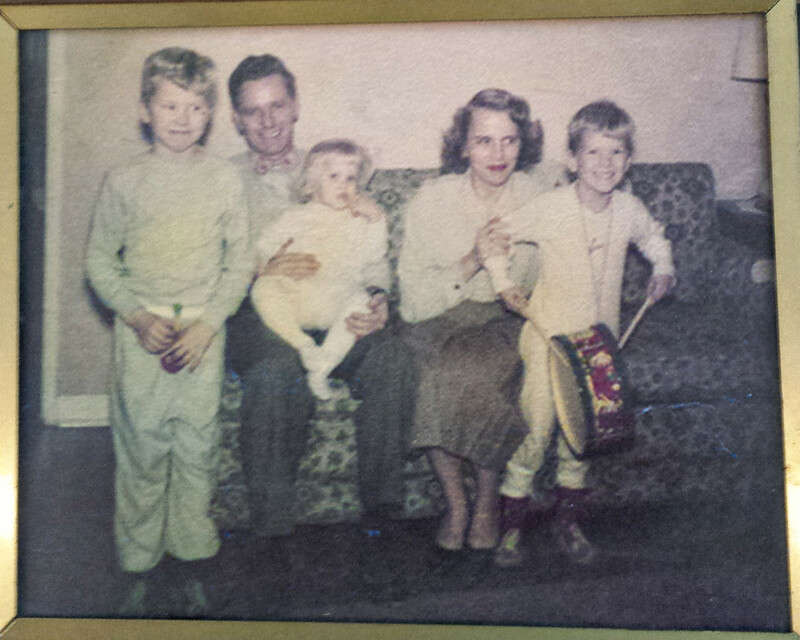 It was very important to us to live close to family once our first child was born. We wanted our children to have the influence and love of those family members, to grow up knowing them and loving them. I think it is one of the best things we have ever done for our children. Q: One of the things I think you see a lot of today is siblings who do not get along. They are different ages with their own peer groups and activities and they aren’t friends. I desperately want my boys to grow up as friends. Can you tell me what this looked like for you? 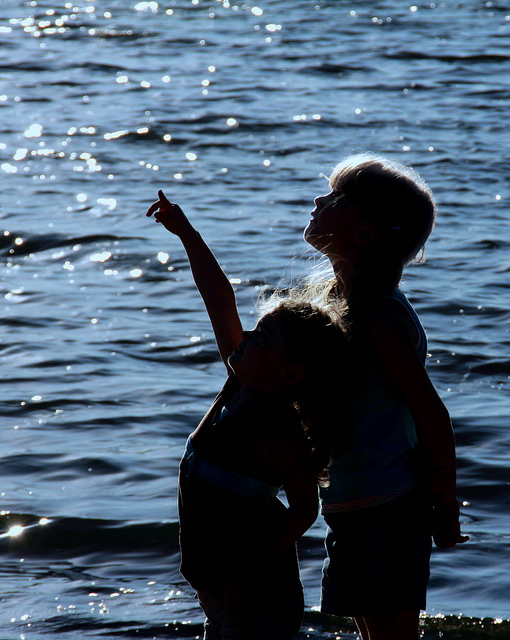 How did you encourage good relationships between your children? A: Well looking back it just seemed natural that they got along and were playmates. I don’t remember that I did anything to make that happen. Again, they were left alone to find their own fun and make their own toys a lot of the time. They were just always playing together. Entertaining themselves. Q: Speaking of toys, what were Christmas and birthdays like? A: Simple. One of my favorite pictures is from a Christmas when my boys were little and one is playing a horn and the other his new drum. They were happy with just a few small things. In fact I remember we had a neighbor family that always had lots and lots of toys but those neighbor kids were always playing at our house! Although, we were the first family in our neighborhood to have a tv! Can you imagine! It was a tiny box, black and white of course. Q: I know you lost your second son, Bob, when he was still a child. Can you talk about that? A: Yes (whisper, exhaling) he died of cancer. Q: It must be nearly 70 years since Bob passed away, and that as a mother, you must still miss him and think about him every day. How do you miss someone for so long and deal with that grief? How did you not let it consume you? A: The only way I could make sense of it is to say that they needed him up there [in heaven] to bring some cheer. He was the happiest, smiling-est boy you could ever know. Always so happy, everyone’s friend, so full of joy. I knew after he passed away that I had to go on being happy for him, because if he knew that something he had done had upset me, it would have devastated him. I still have his picture on my little tv stand at my house, so he is still there, smiling at me every day. I talk to him. Everyday, I talk to him and he smiles back at me. Q: Was it a challenge to raise good kids? A: Well I don’t think so, really. Today it is a huge challenge to raise good kids. Why? I don’t know what is wrong with some parents. They let the kids rule the roost! Q: I’m always curious about housework, probably because it is my personal Goliath, even with all our modern conveniences. Did you have a housekeeper? Q: You just worked hard. Q: What advice do you have for today’s young mothers? A: Read to your children. Introduce them to books. Q: Does it really go by as fast as everyone says that it does? A: It does. It does. I can’t believe my baby girl is now 60-some years old. 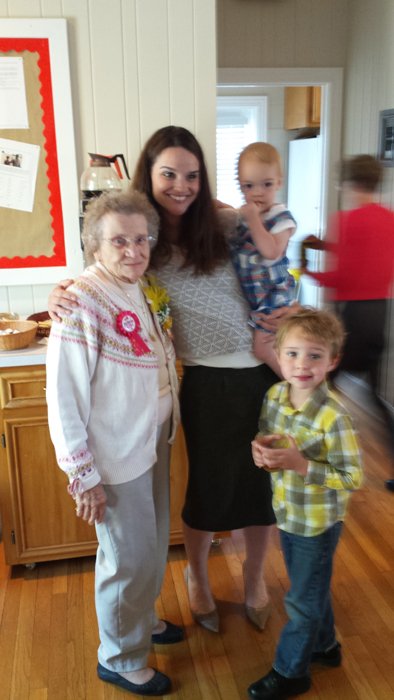 Me, my babes and Miss Shirley, May 2014, at her surprise 92nd birthday party. For more on the Vintage Motherhood series, click here for the introduction and here for the first interview with Violet. Oh my, I love this!! The line. We just talked over the fence, you know. And the quote of it being a different world. All of that is true. Oh, the challenge to preserve this. Thanks Bevy! I think I would have done so well in that generation, I wish I had another young mother next door to talk over the fence with and whose kids would be satisfied making toys out of sticks and cans with mine! Dare to dream! Thanks, M! So glad you are reading along! Your dedication and commitment to your craft is amazing. Thank you for preserving these stories and remembrances that would be lost to the world without your interest and focus and sharing!! Love Shirley! Love you! Thank you, Sheree, such kind words, I hope I am worthy of them! So glad that you are reading! These interviews are priceless. How I wish I had these types of conversations with my own mother and grandmothers before they passed. It is interesting to think that one day our stories will be those of the past and may be looked on as a ‘different’ or ‘more simple’ time. Thanks, Melodee. I agree with you- it’s hard to imagine anything about today’s busy world seeming simple or old fashioned. I am hoping that eventually the pendulum will swing back the other way! So great! Thinking of her kids making their own toys makes me totally regret that trashy Barbie doll I bought Maley at target yesterday! Aw, sweet Maley girl with her barbie! There is so much commercial temptation out there. I was just commenting to my MIL the other day that every store is now a toy store! Even Lowes has kid’s light-up musical books at the entrance and candy in the aisle of the check-out. Love to read what you are writing. Just love it. Thank you, Michelle! I’m so glad you are reading! Hey Amber! You are so awesome. I rarely go this long between posts, life has been hairy-good hairy-but just busy long tiring days and somehow the days and then weeks just got away from me! It feels good and right to be back though and I appreciate you still checking in and reading! 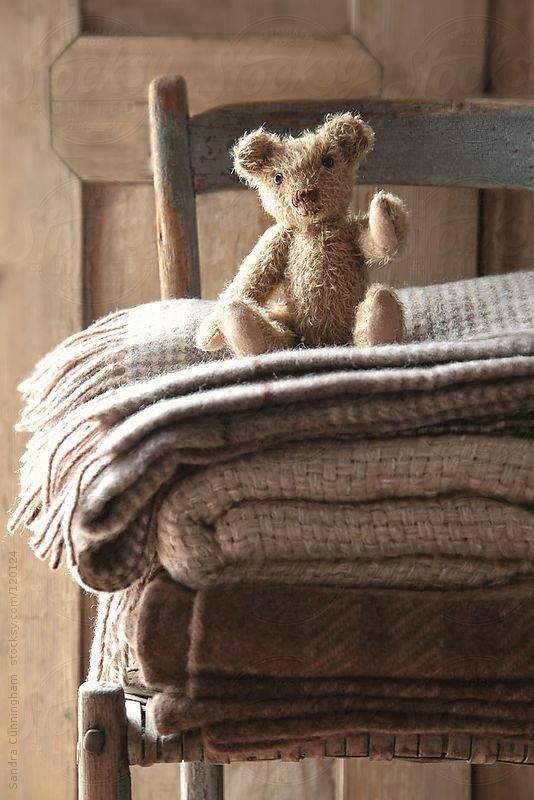 LOVE LOVE LOVE that lullaby, thank you so much for sharing!! Oh my. 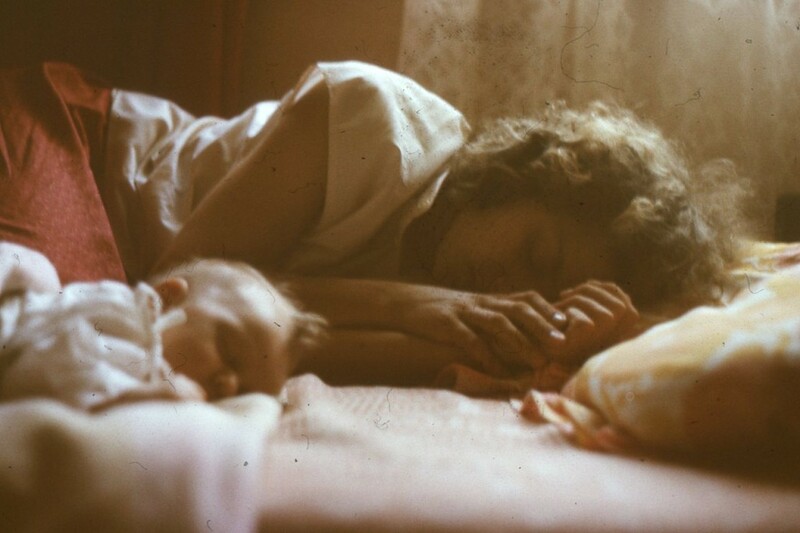 That picture of her asleep with her baby…it takes my breath away! It’s beautiful. I absolutely love this new series you’re doing. I love hearing wisdom from another generation, especially mothering wisdom. Thank you. Thank you, Heather, I do too. I hate to think that all of that wisdom will be gone soon and I so want to preserve it! Thank you for reading! Wonderful series of precious words from precious mamas. These ladies still have so much to offer and you are wise to love them so well. I love your writing on motherhood and your lovely photography. Sometimes I think things haven’t changed too much, and feel fortunate to live in a place where we still chat over the fence with our neighbors and our children run between yards! I love this series! I hope it doesn’t end! Also, I would love to ask my great grandmother these kind of questions. Do you have a template of sorts you use? I would love some sort of outline. What a precious woman…and her wisdom is beyond beautiful. I was a social worker in a nursing home before babies, and I absolutely LOVE and MISS my sweet friends from those days. I was engaged to Andy in those years, and I use to sit at their feet and beg them for wisdom in marriage. And everything she said is true. Your days are long but the years are short..it goes so fast. I’ve been really looking forward to more of these! This is just lovely! We have so much to learn from our ‘vintage’ mothers. Erin, I am so glad you captured and shared this special interview with our very special treasure that is Shirley!! What beautiful timing for it to come up in FB memories.